Ah buckeyes, my old friend! Sweet peanut butter and chocolate, everything to love – especially served right out of the freezer. You see, I grew up with buckeyes under a different moniker. 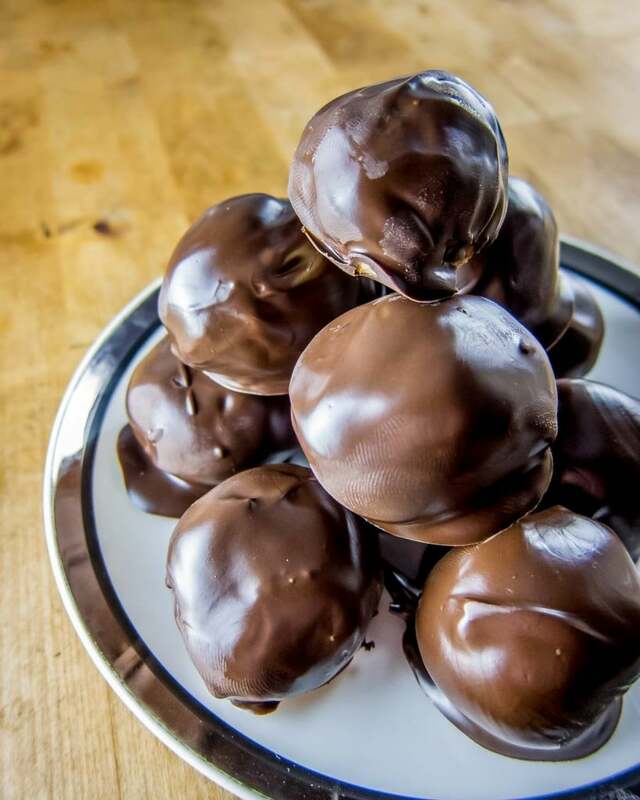 My mother called them chocolate peanut butter balls and made them every year for Christmas. She’d whip up a giant batch and keep them on-hand frozen so we could graze on them for months. It was wonderful! All year, we’d look forward to them and I remember them being a special favorite of my older brother. My mom learned the recipe on Andersen Air Force Base on the Pacific island of Guam when my dad was based there in the 80s. He was a B-52 Captain and while he was stationed there, my older brother and I both ended up being born on that tiny little island…. Ohio. Yes, Ohio. It may not seem as exotic as Mozambique, but it has its own culinary charms. 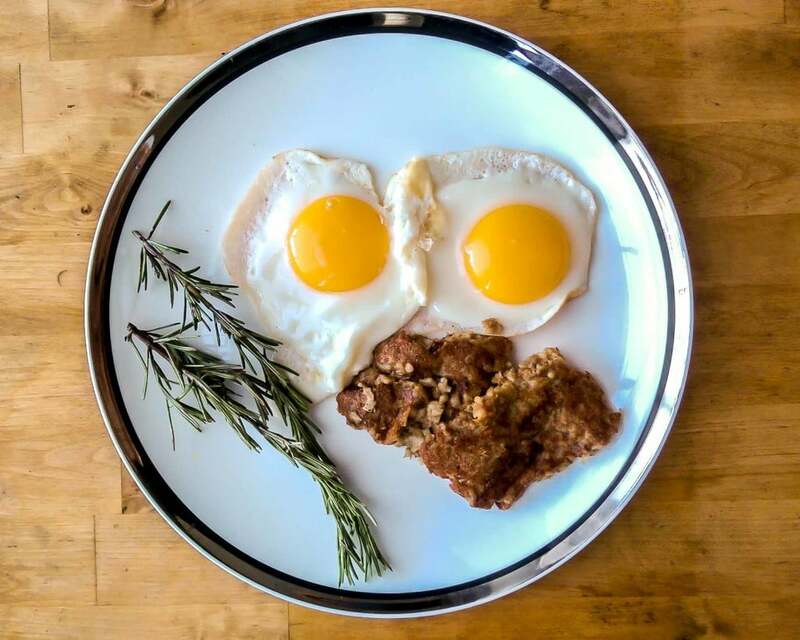 Our first dish from Ohio is the quintessential goetta (pronounced gett-aa). It’s an amalgamation of pork, beef, spices, and steel-cut (pinhead) oats formed into a loaf, sliced and pan-fried. That may not seem like the most appealing, but when you think about it, that’s all any sausage or meatloaf is made out of – goetta is just in a different form. I’ve been living in near Lancaster County, PA for the past two years and on its surface, goetta seemed like scrapple. However, where scrapple uses fine-ground corn and wheat flour, goetta uses coarse steel-cut oats. Like scrapple, goetta was created to use up every “scrap” of meat from slaughtering an animal and the grain adjuncts were added to help stretch that meat further. While it came from German immigrants settling in the Cincinnati area and was developed there in Ohio, not Germany.